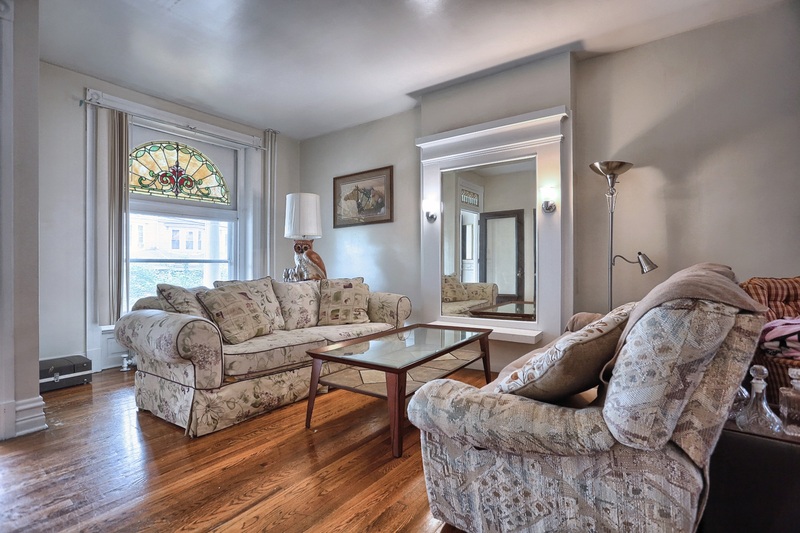 To its original stain glass windows, hardwood floors and craftsman's wood trim. Entering from its large covered front porch to a open and updated living room with built in mirror and wall scones. Perfect for family gatherings. Next is the bright and open dining room with a large bay window, followed by a large eat in kitchen. Walk out to your fenced in yard great for the little ones and pets. Upstairs is where you will find the bedrooms and a full bathroom. Hardwood floors threw out upper level. Access to roof level deck, great for outdoor privacy and views of the sunsets.